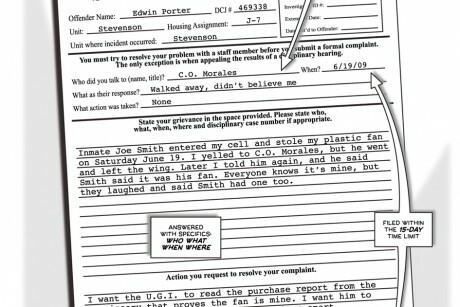 Can an inmate actually get the court’s attention about an unjust/illegal prison condition? Yes, if the inmate follows the rules and has a valid claim. Pro bono attorney Mr. Dibs offers classes on the grievance process to interested inmates. In this story, he is followed into the prison by a film maker who wants a ‘juicy’ story. While dealing with an assortment of inmate attitudes and complex laws, Dibs also must deal with the trouble-making film maker. 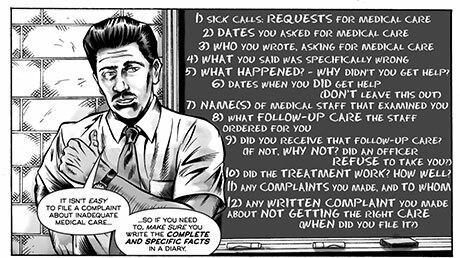 After the story, created through the art, the novel offers checklists for each grievance. 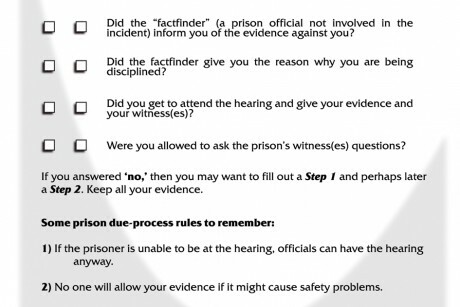 The Constitutional Amendments that affect inmates are listed and explained; sample grievances are analyzed. Early readers have praised the margin analysis of the actual grievances; they will teach grievance writers excellent ways to get their grievances read and acted on. In November, 1998, a lot of people were arrested for a peaceful protest against the School of the Americas in Ft . Benning, Georgia. My 16-year-old daughter and I were two of them. I had heard Father Roy Burgois speak the year before, describing his first-hand experiences along side the indios of Latin America in prisons. Several of the cruelest guards were graduates of this strangely-named school, a school on U.S. soil that teachers torture techniques to Latin American military. Funded by American tax dollars. So naturally my daughter and I traveled to join him and 646 others at the Army gates for prayer and joyful protest. Imagine our surprise when we crossed, silently, through the open post gates—and had our butts arrested. Then imagine our surprise when we learned that 24 [??] of us were detained and taken before a federal judge who sentenced them to six months in federal penitentiaries; they had been arrested and warned the previous year but didn’t know walking onto the always-open post could mean they were sacrificing the next six months. The protesters who went to federal prison were nuns, priests, retirees, academics. While they were in prisons they wrote about their surroundings and treatment. I simply could not believe it. But, they were credible witnesses. They described being denied essential medicine. They wrote long, distressing descriptions of insane inmates who were punished with solitary confinement because they howled, or beat their heads into the bars. They attempted to describe “green loaf,” food given as punishment for those in solitary confinement. The loaf seemed to be a blender-combination of vegetables and scraps, and satisfied some requirement for essential nutrition without being actual food. Really? I taught at a major law school, so I had plenty of sources to ask about prison conditions. Criminal law professors shrugged at the letters, and said “Well, just be glad they’re not in a state prison or, God forbid, a county jail. They’re lots worse.” Really? First, I studied the 1996 [???] Prison Litigation Reform Act and tried to understand it. A Ph.D. and lots of concentration, and I had little idea what it said. But inmates are held to the PLRA requirements. Then I narrowed court cases that examined the PLRA and set precedent for interpretation. I thought I’d be writing a law review article—I am an academic after all. But. Who would read the article? The same people who had shrugged—if anyone at all reads law articles. So I abandoned the article. At the same time, I had lunch with several ex-students who were clerks or research attorneys on various appellate courts. They all worried about the stacks and stacks of pro-se (by yourself) filings they had to read and respond to. Most of those filings were illiterate, filed in the wrong jurisdiction, filed too late, were filled with problems no court is able to correct. Who needed the most help with the PLRA, then? Inmates, of course, and also the prison system personnel and the court readers. My target audience has an average reading level of 5th grade—and that includes the white-collar crime inmates. What might a 5th-grade reader actually respond to? Games yes—but most prisons do not allow computers. How about comic books? At the beginning of this project I didn’t even know the genre of Graphic Novel had been born, had grown, had become the major format for many social-justice topics. I learned. My artists, letterers, and I hope that the graphic-novel format will appeal to inmates. We hope they are entertained by the antics of a few inmates and the dastardly film maker. And we hope that inmates will take the lessons seriously. If they do, then the prison system readers will have an easier time delineating between revenge/frivolous filings and serious conditions grievances.